Shona is the CEO and Founder of Halotrade, a blockchain-enabled fintech start up focussed on the delivery of sustainable supply chain financing. Formerly Head of Innovation for Trade & Working Capital in Barclays, working in partnership with fintech companies which will shape the future of the global trade business. 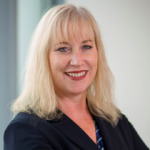 Shona was a Director with Barclays for 6 years, and was previously Global Head of FIG Trade, delivering trade finance, trade services and risk mitigation solutions to bank and non-bank clients globally. She joined from HSBC where she was a senior manager in the European Structured Trade and Advisory team within Global Trade and Supply Chain. 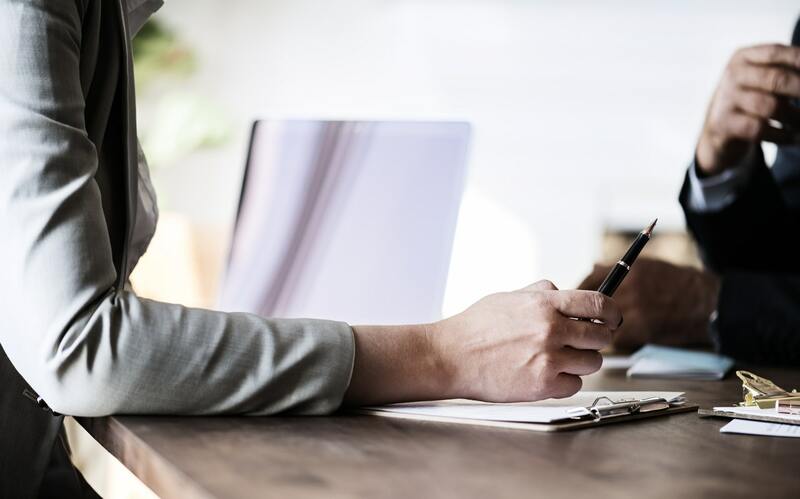 She started her career with The Chase Manhattan Bank after graduating from Oxford University with a Ba in Modern Languages and spent 13 years with the bank finally heading up the bank’s Singapore Trade business. Shona is actively involved in the ICC Banking Commission’s Sustainability and Digitisation working groups. 1.How did Halotrade come about and what issues are you solving? As it stands, the supply chain for agri-commodities is opaque, inefficient and not aligned with global environmental and labor standards. This leads to a host of abuses and crimes – slavery, bribery, corruption and environmental destruction to name a few. Shona Tatchell, founder of Halotrade, set out to change all that. Halotrade creates a virtuous cycle, in which all actions from the farmer to the banker are trackable and transparent. The best practices are measured and rewarded, and finance is able to flow efficiently to the local workers and business owners who do the labor that makes the end product possible. 2.Why is transparency and sustainability needed in the Supply Chain Financing market and how is Halotrade addressing this? 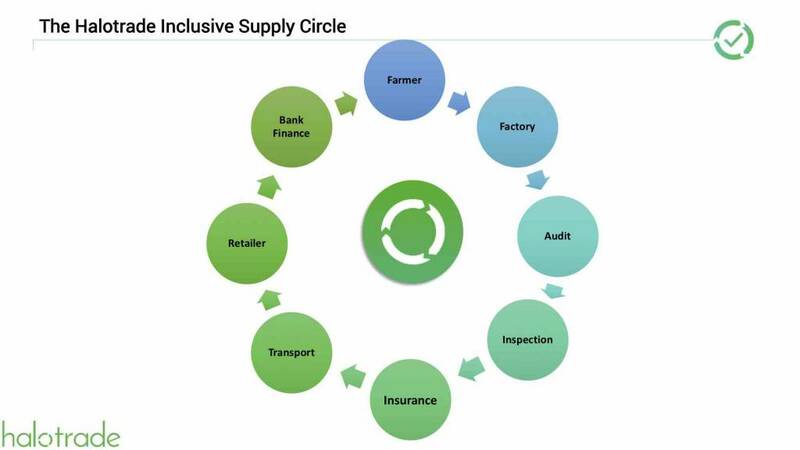 Globally, the market for information required for sustainable and legally/regulatory compliant sourcing of commodities in value chains is either broken or non-existent, compounding any structural financial inequity within those same value chains. This is a major impediment to achieving several of the Sustainable Development Goals, as well as an impediment to opening up new sources of value for businesses. Products at times suffer from opaque and undifferentiated traceability, particularly in the earlier stages of a supply chain as individual products lack a corresponding individual identity. In order to better understand the impact and provenance of the products we consume, our supply chains must become more traceable and transparent. Halotrade uses the combined power of blockchain technology and invoice financing to transform supply chain practices. Our shared ledger technology links the supply chain from end to end: from certifications of farms and factories to tracking shipments around the world until delivery. 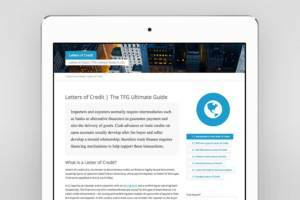 We help participating suppliers in developing markets access financing terms from global banks. Halotrade creates a sound financial incentive for every player to abide by industry standards set by organizations. 3.How does Halotrade work, and how is your blockchain solution helping to bring together ethical financiers, large banks, corporates and suppliers? The Halotrade system is not only commercially viable but is also very attractive to all parties involved, and hence both stable and sustainable. 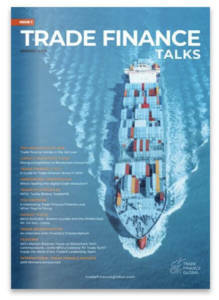 What’s happening in the market, and what’s the future for ethical supply chain finance? Halotrade are early innovators in this area, but blockchain technology will enable potential rapid and seismic change across the industry. Over time, new ways of working will develop which favour compliant suppliers and disadvantages irresponsible, illicit and unsustainable actors, while at the same time rewarding continual improvement in standards with continually lower financial costs. Over the next 5-10 years we see there being a significant shift in supply chain management, transforming the lives of potentially millions of producers around the world.